A Nottingham based business is helping East Midlands microbrewers export their beers to China, with the support of The University of Nottingham. Following a recent beer tasting trip to distributors in China, British Craft Beers has exported the first orders of beer to merchants in Shanghai and in Chengdu, Sichuan province. The export success follows on from a project run by the Brewing Science department of The University of Nottingham last year. The University combined with the Food and Drink iNet (Innovation Network) on a project to help microbrewers in the region undertake work to develop beers that were suitable for export. The brewing science team from the University worked with microbrewers to increase their quality control processes, leading to greater consistency by measuring qualities such as alcohol by volume, CO2, microbial stability and shelf life. After the development phase, the next stage of the process was to look to export the beers to China, and Clements Marketing won a Food and Drink iNet, European Regional Development Fund (ERDF) funded project to gain a better understanding of the Chinese market, which also included support from the University’s Asia Business Centre and UKTI. In depth research into beers was conducted at The University of Nottingham’s Ningbo campus, China, to establish the status of the market. 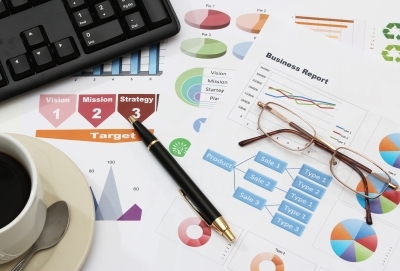 Led by the Business School there, the research team, which consisted of Nottingham University students, examined the market conditions, demand, demographics, the current suppliers and competition and also importantly, the preferred tastes of Chinese consumers. 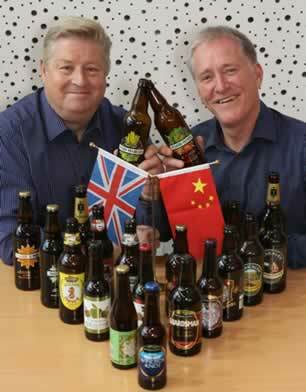 The conclusion from the research was that there is a significant niche market for British Craft Beers in China. This led to a second trip being organised, where samples from six of the original East Midlands craft brewers including Thornbridge, Castle Rock, Peak Ales and others were distributed to various importers, shops, bars and restaurants in Shanghai, Ningbo and Chengdu, with very positive results. 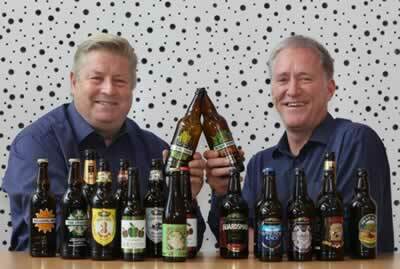 As a result of the positive response from the market research, Alan, together with food and drink specialist Richard Worrall, formed a new company, British Craft Beers, to focus on exporting beers to the country. 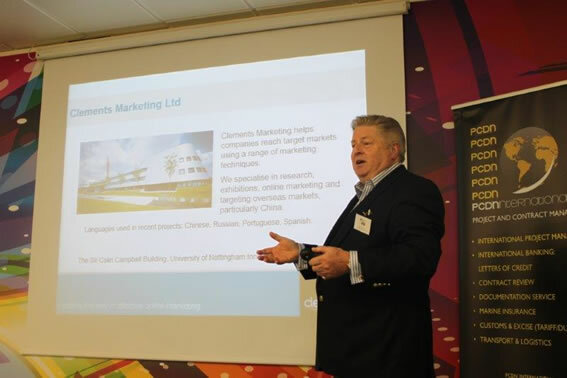 British Craft Beers, with its sister company, Clements Marketing Ltd, operates from a base at the University of Nottingham Innovation Park (UNIP). Alan believes that being based at The University of Nottingham enables his businesses to benefit from the University’s expertise and international contacts. “Moving to UNIP has enabled a whole reincarnation of the company and has allowed me to look for and take on new projects in an increasingly global world,” said Alan. Alan added: “We are reaping the benefits of the pool of expertise located on site, as well as at the Ningbo campus in China. There is obviously the great research expertise we can access from the brewing sciences team, but in addition, we have also employed nine students who have helped us in a variety of areas ranging from market research to translation. Mike Carr, Director of Business Engagement and Innovation Services at the University, commented: “This project is a fantastic example of how The University of Nottingham, in conjunction with our private sector partner, British Craft Beers, has been able to add real value and provide practical support to microbreweries, right the way through from initial product development to market research, export support and sales.